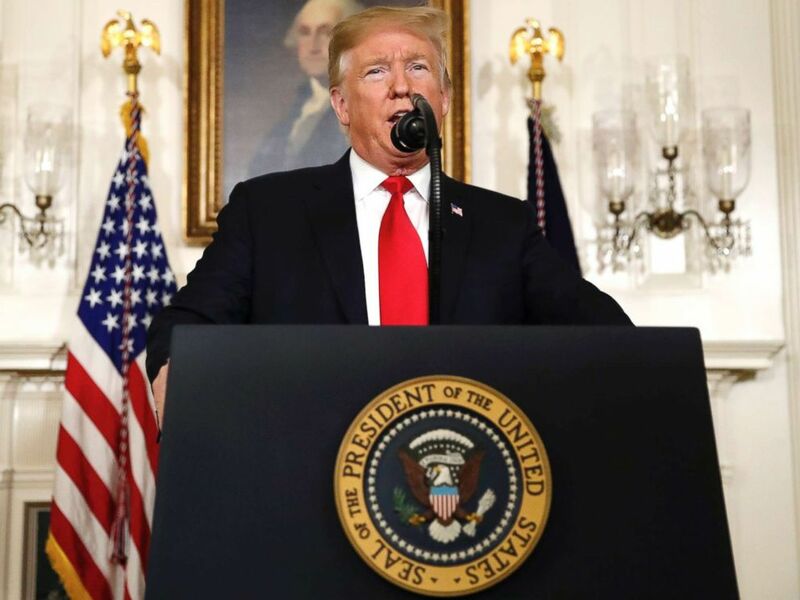 President Donald Trump is preparing for two different State of the Union speeches – one a more traditional address delivered to Congress in the House chamber or some other location in D.C., the other prepared for a political rally at a location outside of Washington, D.C. that has yet to be determined, according to multiple sources familiar with the planning. Sources told ABC News that the president was previously planning two separate versions of the State of the Union – one version if the government was still shut down and another if the government was open. However, now the planning has evolved, assuming the government shutdown could drag on past next Tuesday – the expected delivery date of the address. If the president decides to deliver a speech in rally form, it would mark the first rally style event the president has attended since the partial shutdown began. A senior administration official confirmed to ABC News that the White House has sent an email to the House Sergeant at Arms requesting a walkthrough of the chamber to prep for the State of the Union address. The White House is still moving forward as planned on the address as they wait to hear whether Pelosi is officially rescinding her invitation. In a letter to the president last week, Pelosi suggested to Trump that his address, scheduled for Jan. 29, be delayed because of the partial government shutdown. Pelosi proposed the delay out of security concerns, noting that the U.S. Secret Service and the Department of Homeland Security remain unfunded. Hours after Pelosi's letter became public, Homeland Security Secretary Kirstjen Nielsen pushed back in a tweet against the implication that the shutdown has harmed the department's ability to secure the event. The president tweeted Sunday that "there are so many options" he's considering to give the address. "Nancy, I am still thinking about the State of the Union speech, there are so many options - including doing it as per your written offer (made during the Shutdown, security is no problem), and my written acceptance. White a contract is a contract, I'll get back to you soon!" White House deputy press secretary Hogan Gidley said on Fox News Tuesday that the White House had "no announcement at this time" on the president's plans but added that "Nancy Pelosi does not dictate to the president when he will or will not have a conversation with the American people." 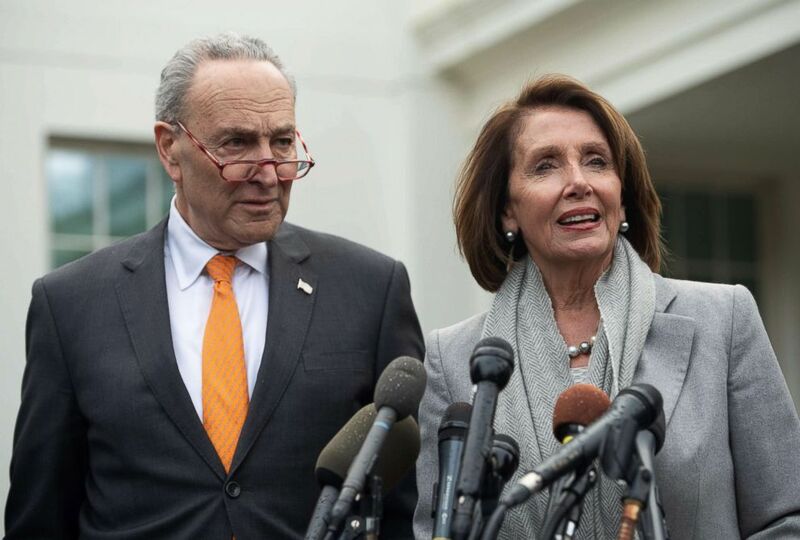 Senate Democratic Leader Chuck Schumer and Speaker of the House Nancy Pelosi talk to the media following a meeting with President Donald Trump about the partial government shutdown at the White House, Jan. 9, 2019. While Pelosi's letter to the president left the invitation on the table for him to speak on Jan. 29, she told ABC News last week that her communique underscores her concerns are about security. "Our letter is clear about what our concerns are. Just read the letter again, okay?" Pelosi, D-Calif., said. "It's about security." ABC's Alexander Mallin contributed to this report.